Living a healthy lifestyle does not stop at eating Raw Vegan food, although that’s the best start! Achieving optimal health also extends to your immediate environment. 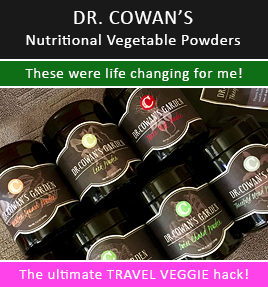 Think about it – does it make sense to work hard at purifying your body by eating Raw Vegan food if you’re inhaling toxins and slathering chemical-laden products on your skin? No. It was after doing research about the dangerous chemicals in beauty/home products that I rid myself of them immediately. I’m not taking any chances with my health or the health of my family. Moreover, I’ve been extra careful lately since I want to ensure that I’m avoiding chemicals in the house while prepping for pregnancy (and after, for that matter) and I’ve been making a lot of my own stuff (that’s the extra fun and rewarding part). There are many reasons that I’m doing this: my personal health, my family’s health, the environment and as a future mom… It’s important for a baby to smell the true essence of his/her mom and dad – not covered up in scents from hair/makeup/beauty/cleaning products. This is very important for bonding (especially for encouraging breast feeding because a baby is naturally drawn to his/her mother’s body odor). I’ve been asked many times about the cleaning supplies I use. There are plenty of options out there and I’ve tried many. What I find interesting is how my sense of smell has changed. I find that when I’m in some people’s homes (or around some people themselves) that the smell is too much for me now, because they wear strong cologne or they use air fresheners or home cleaning products full of chemicals. I never picked up on that before because I used them myself… but I do now and it’s hard to be in places (or around people) that smell toxic. Everyone is on his/her own journey however. Heck, it wasn’t that long ago that I threw away my favored Tiffany perfume. 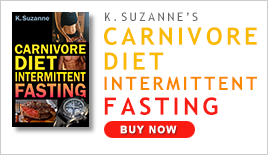 I concentrated on the food I was eating and my physical fitness routine for a long time before venturing into the territory of changing my beauty and home care routines. Furthermore, let’s talk about the environment. What’s so great about using bleach or chemical-laden products to keep your toilet and counters clean, if you’re polluting and damaging the environment (including your drinking water). Every little step we can take to help our environment is great – from recylcing to using our own bags at the store to air drying our clothes to using eco-friendly cleaning products. Last but not least, you can save money by making your own products (and it’s so easy)! Yes, there are a number of green cleaning products you can buy (for example… Mrs. Meyers brand is lovely and popular), but it’s cheaper to whip up your own. I’d rather save the money by making my own, then treat myself to an organic cotton t-shirt or organic produce! Either way, if you’re buying or making green cleaning products you’re making a world of difference for your health, your family’s health, and the earth. Now, that’s just plain SMART! Laundry – 1-2 caps of Dr. Bronner’s liquid soap. I’m pretty sure I’ll be doing this for my future baby’s clothes (the unscented version) when the time comes as well. It’s important to stay away from normal commercial clothes soap when washing your baby’s clothes because their skin is so delicate. There are some natural brands on the market just for baby’s, such as Seventh Generation (I think). I can’t imagine it getting any simpler than Dr. Bronner’s unscented soap though. Note: for extra brightening power, add 3 oz of chlorine free bleach by Seventh Generation as the water fills up (before adding your clothes). Scrubbing – baking soda does the trick. Or, another good one is Bon Ami Polishing Cleanser. 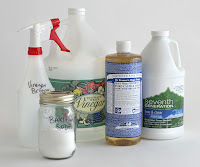 All-Purpose Cleaning – Get a 32 oz spray bottle and put in the following: 1/2 cup distilled white vinegar, a small squirt of Dr. Bronner’s liquid soap, 1/2 cup chlorine free bleach by Seventh Generation (or there’s another brand… Ecover, I think), and fill the rest with water. Optional: add 10-20 drops of tea tree oil (and/or 10-20 drops lavender oil). I use this recipe for counters, bathrooms, tile floors, walls, etc. Extra Basic All-Purpose Cleaning – Get a 32 oz spray bottle and put in 1 cup distilled white vinegar, a small squirt of Dr. Bronner’s liquid soap, and fill the rest with water. Use this recipe the same as above. This (and the recipe above) are great for disinfecting and deodorizing. Mirrors – Get a 32 oz spray bottle and fill it halfway with water and top off the second half with distilled white vinegar. How easy, safe and great is that??? Ant Deterrent – Put peppermint scented Dr. Bronner’s soap in a spray bottle with some water and spray along windowsills and cracks. Toilet Cleaning Power – Baking soda and distilled white vinegar. Scrub away the germs and enjoy a shiny toilet bowl. Of course, use towels for wiping (paper towels are wasteful) or tear up some old t-shirts. Whew! I got through that post without giving away my secret news!